We are one of the UK’s leading firm of solicitors specialising solely in immigration into the UK, UK Visas and Settlement Applications. We have expertise at all levels of immigration and our focus is on providing you with the best legal advice and assistance we possibly can. Whether you need a UK Visa to continue working in the UK or to come for a vacation, we can help. Founded by Gazala Rashid, a long term supporter of human rights, equality and justice, UK Migration Lawyers focuses on providing every client with the support and legal assistance they need in a potentially difficult time. To find out how we can help you today, contact us on 0121 777 7715 or if you’d like us to call you back, why not complete our online Quick Response Form and we’ll get in touch at a time that suits you. Has your application for a UK visa been refused? We have an excellent track record of successful appeals. Want to join your spouse, civil partner or fiancée in the United Kingdom? Life is better shared. Let us make bringing your dependant loved one to live with you in the UK a reality. Are you an employer or sponsor who requires advice regarding your employees? Do you fear you may be deported from the UK? It's vital you atake advice now. If you are married or related to an EU citizen and would like to move to the UK, we can help. 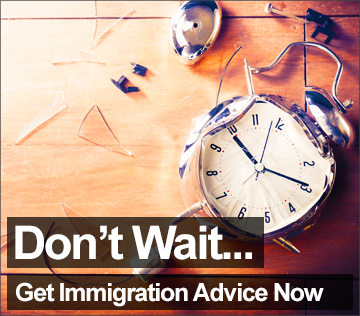 Need your visa application fast tracked? We are registered with the Home Office to lodge same-day aplications. Do you wish to be granted permanent residence in the United Kingdom? Whether you would like reconsideration for a UK Visa appeal or you would like to bring your spouse or dependants to live with you in the UK, UK Migration Lawyers believes in equal and fair representation for all. We understand the importance of seeking reliable help and services when it comes to immigration and migration issues which is why our team of dedicated multi-lingual immigration consultants & solicitors take every effort to listen to clients’ predicaments so that we can help you to reach a satisfactory conclusion. Founded by Gazala Rashid, a long term supporter of human rights, equality and justice, UK Migration Lawyers focuses on providing every client with the support and legal assistance they need in a potentially difficult time. Providing fixed fees so that you can stay in control with direct access to our solicitors & consultants, we offer quick services that promises to provide you with an outcome you are happy with. In extreme cases such as Deportation, Removal and Bail, it is important to get assistance as soon as possible. With vast experience helping a range of different clients we have a superb track record for representing clients successfully. Plus we can also offer one to one services where we will visit you if you are in detention or prison to ensure that your case is resolved as soon as possible to avoid deportation or removal. For more information regarding our UK Visa and immigration services or if you would like to find out more about the support we can provide for those wishing to settle in the UK or getting a UK visa, please get in touch with us today at our London or Birmingham facilities, you can contact us by calling 0121 777 7715 for immigration advice or fill in our Quick Response Form for helpful advice as soon as possible. UK Migration Lawyers covers the whole of the UK including Leeds, Bradford, London, Derby, Luton, Leicester, Manchester. In fact, it doesn't matter where you reside, UK Migration Lawyers can conduct all of our work over the phone and via email. With a focus on equal opportunities for all we offer a specialised team of immigration solicitors who listen to our clients in order to help them to reach an outcome that they are happy with. UK Migration Lawyers have an excellent track record of successful appeals and specifically focus on Marriage/Relationship Visas, Adult Dependant Visas, EEA Citizen Family Visas and more, simply because we know how important it is to ensure that your family stays together. UK Migration Lawyers is authorised and regulated by the Solicitors Regulation Authority (SRA Number 497640). Accredited immigration Law Solicitors. UK Migration Lawyers Ltd. / All rights reserved. Company Registration No 06702262 / Registered in England and Wales.